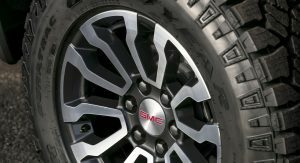 GMC has introduced the all-new Sierra AT4, ahead of its debut at the New York Auto Show. 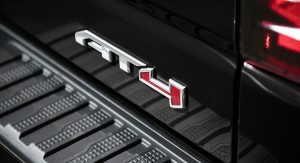 The unique features don’t stop there as designers installed body-color accents on the grille surround, door handles and bumpers. 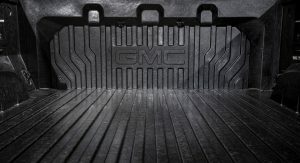 The truck has also black chrome accents and a MultiPro Tailgate which has six unique functions including a standing workstation mode and an egress mode which acts as a step and a seating position. 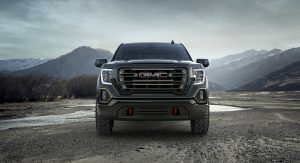 An assortment of different options will be available including a color head-up display, a rear camera mirror and the GMC-exclusive CarbonPro bed. 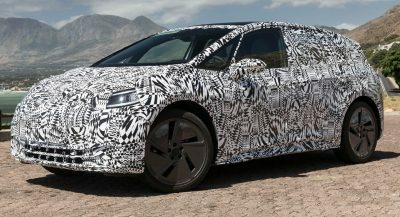 It is constructed out of a purpose-built carbon composite material which enables the bed to be 62 pounds (28 kg) lighter than its steel counterpart while also providing “best-in-class dent, scratch and corrosion resistance.” Buyers should also opt for the 20-inch wheels as the standard 18-inchers look positively tiny. Power comes from a 5.3-liter V8 engine which has a Dynamic Fuel Management system that enables it to operate on one to eight cylinders. 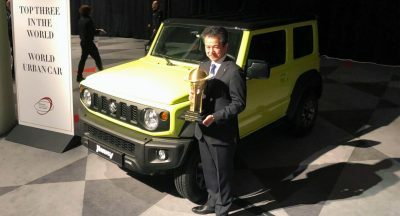 Customers will also be able to order an optional 6.2-liter V8 engine or a 3.0-liter Duramax turbodiesel inline-six. 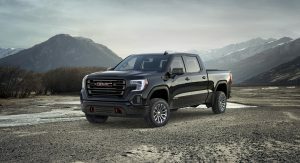 The 2019 GMC Sierra AT4 will go on sale this fall and pricing will be announced closer to launch. The wheels are WAY too small. 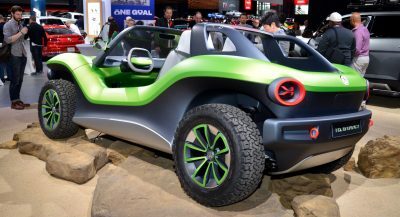 It needs bigger wheels and tires because that looks goofy like it is in these pictures. Is this car 12 feet tall? As two others have already said, this thing needs bigger tires. I’m expecting anything massive but these are on the small size. The rims are 18 inches, The truck is huge, but yeah bigger tires would definitely help out. Ok, fair enough. But I still think they should add slightly bigger tires and wheels. 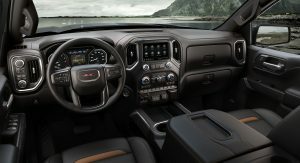 Very good looking truck but the interior is a total letdown.. Wheels are out of proportion and i dont know about visibilty over that massive hood. You could run over a person and not even know it. It still uses that old, archaic Eaton automatic mechanical locking rear differential. You can’t control when it locks (or unlocks) and when it does engage, it will only stay locked up to 25 mph. Above 25 mph it unlocks and returns to behaving like an open differential. I doubt GM’s new terrain select system recalibrates the traction control system (wheel braking via ABS) to be more aggressive. If the TCS stepped in too early at the slightest detection of wheelslip, the Eaton auto-locker would not have a chance to lock. It requires a wheel speed difference of 100 rpm (or more) before it locks. 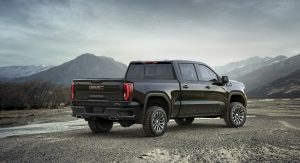 GM really needs to update its trucks with a electronic locking differential that allows the driver to lock or unlock it, and for better integration with the traction control system. I figured that had been mentioned enough already. Yeah, but those wheels! Too small or what? 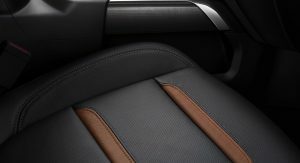 Once again, GM misunderstands how to thoroughly FINISH a product. Interior looks cheap and about a decade old with an aftermarket modern touchscreen forced to fit. Wheels are laughably small and out of proportion with the massive truck. 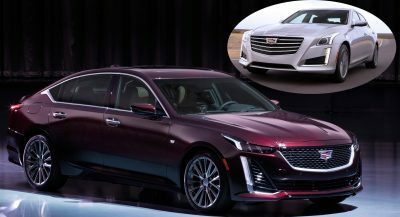 An almost good looking, almost desirable, almost gonna succeed new product as has become expected from GM, an almost decent automaker. 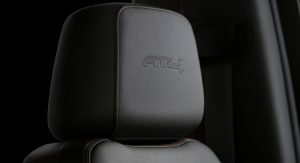 GM still playing close to the chest with the output numbers for the revised Dynamic Fuel Management 5.3L and 6.2L V8s. Ok, something else I thought I should have mentioned earlier. It looks better in the video and on top of that the truck’s wheel arches (especially the rear) are making the tires look smaller than they actually are. And that thing is actually quite tall when you have a person next to it for comparison. A 2″ lift and 32″ tires does not an off-roader make. This looks downright silly. But hey, whatever GM. 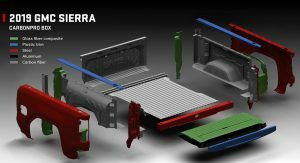 And lets see the concrete block drop all these truck companies think people do with their trucks, with that carbon fiber bed.